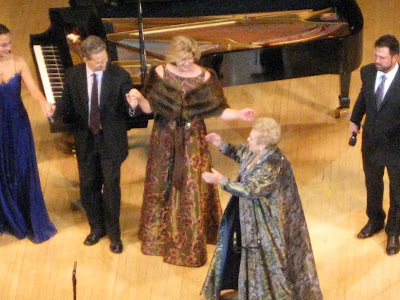 Today, we'll be at Carnegie Hall celebrating mezzo soprano Marilyn Horne's Diamond Birthday and the Marilyn Horne Foundation's 15th Anniversary. 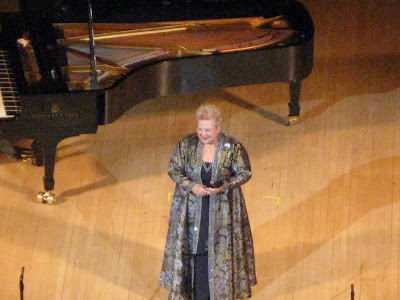 Proceeds from the day benefit the Marilyn Horne Foundation, Inc., which she founded in 1993 "to ensure that young singers in this new millennium have the same opportunities she had, and that the vocal recital remains a viable and living art form in this country." Update: Every minute was thrilling. It was such a beautiful, fun and touching tribute. Songs sets were interspersed with video montages of Marilyn's career, both in pictures and performance clips. 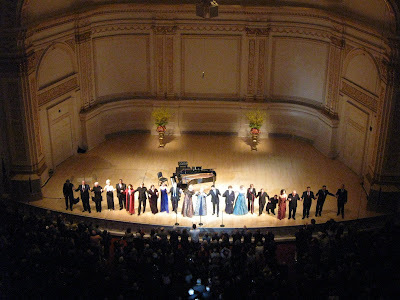 Messages were sent via video from colleagues and friends who couldn't be there, including from Barbara Cook, Dame Joan Sutherland, Renée Fleming, Juan Diego Florez, Michael Tilson Thomas, Jim Nabors, Florence Henderson, Carol Burnett, her family, including her three grandchildren, and others. They even sang "happy birthday" to her via a delightful video montage. Ooh, Dmitri! yum yum yum. Sounds amazing! I am so glad I found your post - I wanted to know who the unnamed tenor was (Beczala). 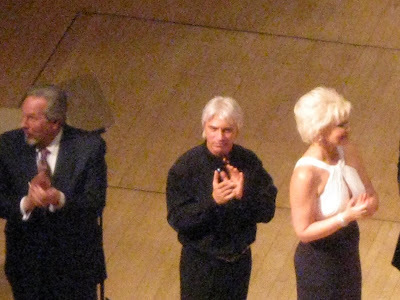 Did you know that Jackie's family members and also Florence Henderson were in the hall with us? I could see them from where I was sitting. 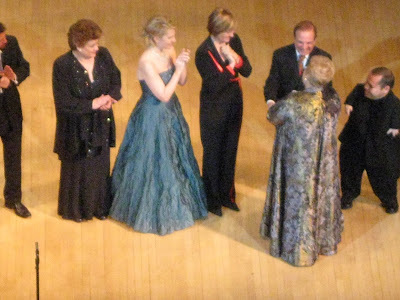 Renee Fleming turned out to e in Wash DC at the Inaugural Concert at the Lincoln Memorial at exactly the same time. Thanks for the posting and the photos - this was a glorious event!